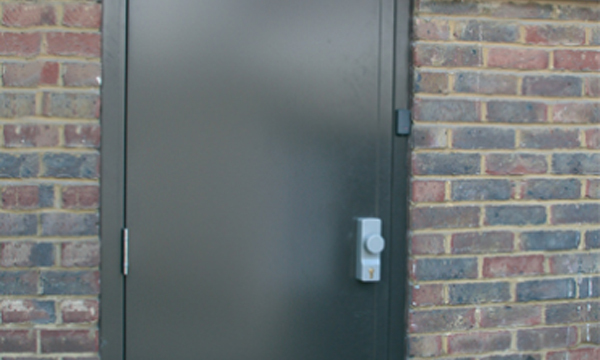 Steel Doors with Steel Frames can provide a passageway or doorway with the utmost security. Whilst there are other alternatives for securing openings and passages, steel is something that can’t be beat in a number of aspects. 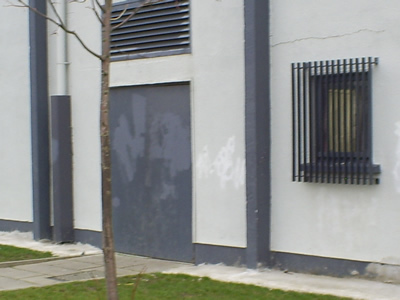 Ace Engineering have supplied and fitted steel doors and security doors for a number of clients in the Dublin region and throughout Ireland. Both steel doors and frames form a complete passageway system – entrance, exit or both. The system is designed to meet specific requirements as in the case of industrial, commercial or residential applications of steel shutters and steel doors. It’s not new to see steel gates, shutters and doors securing many business and office establishments. Steel security doors are suitable as communal door, fire exit door, acoustic door, sports hall door, and even residential door. The door can be customised according to individual requirements. It may be fitted with special locks, ventilation windows, glass windows, door viewers, screen panels, and acoustic layers to meet specific purposes. For areas where the steel door may be prone to corrosion and rust, stainless steel material or anti-rust coating may be used. Steel is particularly in demand due to its strength and durability. Where safety of property and life are topmost priority, users need not be indecisive about steel for the doors and frames. Steel’s high level of rigidity, versatility, and cost-effectiveness makes it a truly practical option for securing entrances, exits and other openings. While steel is prone to corrosion and rust, galvanised steel offers higher degree of resistance against these elements. Steel may even be coated to prevent it from being exposed to air and moisture, which cause rust. When corrosion is a major concern and can undermine sanitation, stainless may be used instead. There are different steel alloys available for steel doors and frames, and each has its own level of resistance against corrosion and rust, and each vary in strength, durability. Security doors with fire resistance (also known as fire shutters) facilitate the safe exit in case of fire. The security door is made of steel with enhanced resistance against fire, so it can be used to control or manage the damage by closing in various sections of the building or floor. Sectional shutters make it easy to allow exit of people and property, whilst keeping fire damage at a minimum. Shutters and doors that offer fire protection are made according to specific industry standards. They pass through rigid tests in order to ensure they meet stringent requirements of insurance providers, as well as those end-users who are very particular about safety. Moreover, these fire-resistant steel doors and shutters are customisable to fit different dimensions of openings. Also, you have an option whether to have them in galvanised steel or powder-coated steel. 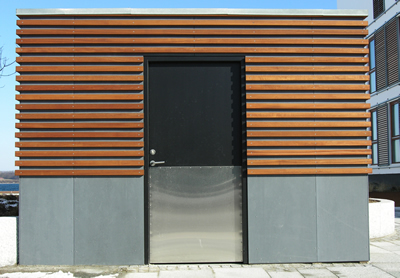 Ace Engineering is able to build custom steel doors for your business premises or your home. 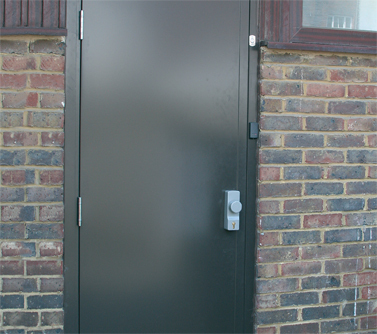 Steels doors offer high levels of security for access points on your premises and help keep the intruders out. Whatever your application we can engineer a door to meet your needs. It can be exterior steel doors, steel doors or security doors for home or heavy duty steel doors. 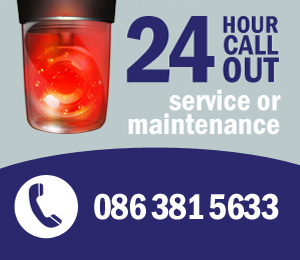 Call us now for our competitive security steel door and security door prices.